Let’s go down the rabbit hole! The art. The performers. The energy. An experience like no other. 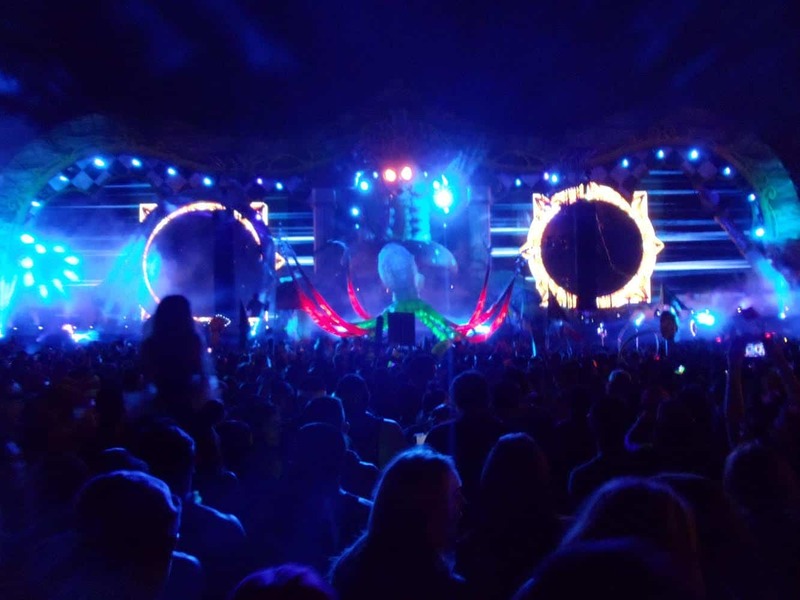 Beyond Wonderland is the growingly popular two-day electronic music festival located at Shoreline Amphitheatre in Mountain View. 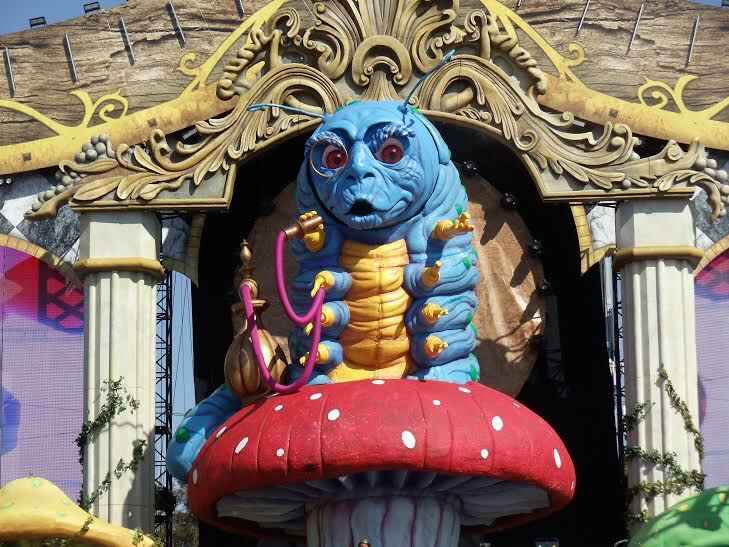 My experience began when the Beyond Wonderland 3-D ticket arrived in the mail. Holding and tilting back and forth the 3-D ticket in my hand, my excitement increased tenfold because I couldn’t believe it was almost time for me to attend the concert. I started making my outfits and planning for my two day adventure. After so much anticipation, the day was finally here. My roommate and friends met up at my apartment and we started getting ready together. The girls put on tutu’s, make-up and rhinestones. The boys put on their clothes and helped the girls get ready. We drove to the venue and, at last, after passing through three checkpoints, our group was finally granted entry into the event. There was so much color and happy people; it was incredible! Our first music stop was the stop Mad Hatters Castle. On our way there, we passed by Queens Domain and caught a glimpse of DJ David Stevens. He was killing it, even when many people haven’t arrived yet. The Mad Hatters Castle looked great. During the daytime, it was difficult to see any of the lights from the lanterns strung on the trees. When night fell, however, it was really pretty. Around the area, there was the Mad Rabbits ball pit. Performers with giant wings worked, while guests relaxed under a tent. After hanging out at Mad Hatters Palace, we go to Cheshire Woods to check out Sound Remedy. He was playing some really good trap tracks for a while, but after he started mixing in some strange tracks that we weren’t into, we left and headed back to Mad Hatters Castle to relax and watch Project46. I spy with my big eye…. The next DJ artist we saw was Dieselboy who was amazing! Dieselboy is a drum and bass DJ. At first, it seemed like he had forgotten to amp up his bass mix because it felt soft compared to his recorded tracks. But surely after a couple quick mixes, he had kicked the bass into full gear–the crowd loved it. Dieselboy had a live rapper, which added a “live performance” feel. The crew had a camera attached to a crane, and they were filming the audience since Dieselboy had such a great turnout. The crowd was full of energy dancing and jumping around, pumped to be there on the first day of the experience. Once it was night time, we spent all our time at Queens Domain. The two best artist of the night were Krewella and Above and Beyond. Krewella was amazing live. The crew sounded exactly like their recorded tracks. The crowd was completely feeling it and singing along. The only thing that sucked was that the whole Krewella trio couldn’t be there. Kristopher, the third member, wasn’t there, but the Krewella girls still killed it. People passing by would dance with you, sing with you, and even trade kandi with you. A rave festival like Beyond Wonderland is just the best place to be happy. All worries dissipate as everyone has a blast and respects one another. Who said an octopus and a caterpillar can’t be friends? Day two was much more relaxed during the day compared to day one. The crowd wasn’t as energized, but they were certainly happy to be there listening to music. More people were enjoying the art installation. For instance, the tentacles exhibit that was located in the far back of Queens Domain. It also helped that the area with the tentacles had a great grass seating area in the night because the tentacles would light up and move around. In the Mad Hatters Castle, there was this urchin looking thing on top of bent steel art installation which was cool to look at. When the sun started to set during Audien’s set, the crowd got significantly bigger in the area where he played and the level of excitement in the venue skyrocketed. When Showtek started playing, the sun was almost gone. He played some really great mixes. Granted, by that time, a handful of songs were repeated, but each DJ added their original style to make it their own mix. The crowd was dancing and jumping, having a great time. Showtek ended his set as soon as it got dark, and Dada Life was next. Take me to your leader! Because the other member was too sick to travel, it was well known from a past announcement that only half of the Dada Life duo was going to be at Beyond. 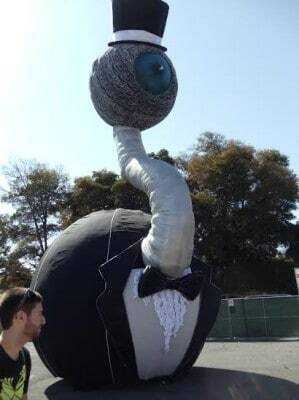 Dada Life, I must say, was the greatest performer of that day, and possibly the whole weekend. Dada Life started with a verbal build up to him. And then, the music started. Within the first 5 minutes, Dada Life started the spectacular laser show. 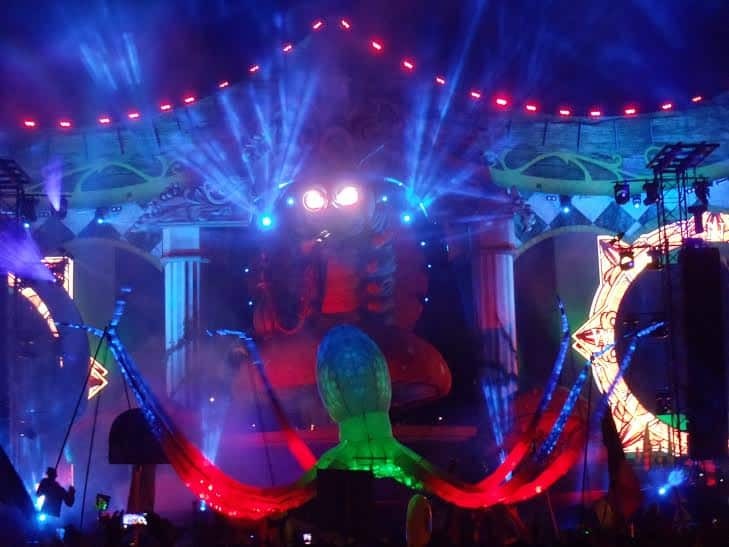 A giant LED light-up octopus unsuspectingly entered the crowd and waved its tentacles around so everyone can enjoy the amazing view from up close. The first 30 minutes of the set was the laser show and light-up LED octopus. No way can any other act beat that. With only 15 minutes left to Dada Life’s set, the giant caterpillar made his way around the crowd. For five minutes the octopus and caterpillar danced together, and I felt such a thrill just being in the crowd. Kaskade was the last performer of the weekend. He played some good tracks. What was so great about his set were the pyrotechnics. Fire shooters were synced up with the tracks, and the venue finally lit fireworks! The crowd went crazy when the fireworks went off. Kaskade’s actual set was alright, but going on after Dada Life was hard to surpass. I had such an amazing time and my experience was utterly unforgettable. 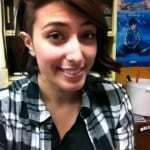 Jen Porras is a graduating Senior at San Jose State University. 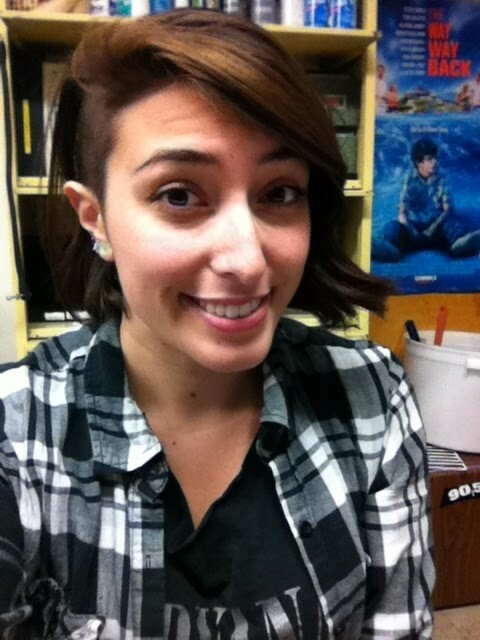 She is a double major in Graphic Design and RTVF. She joined KSJS in Fall 2014. She always loves going to concerts and now, as a KSJS-er, she gets to write about her experiences and share them with the community.